When he’s not busy picking up points or shutting down the opposition, you’ll likely find Ryan Nugent-Hopkins sitting down to catch a big-screen flick. 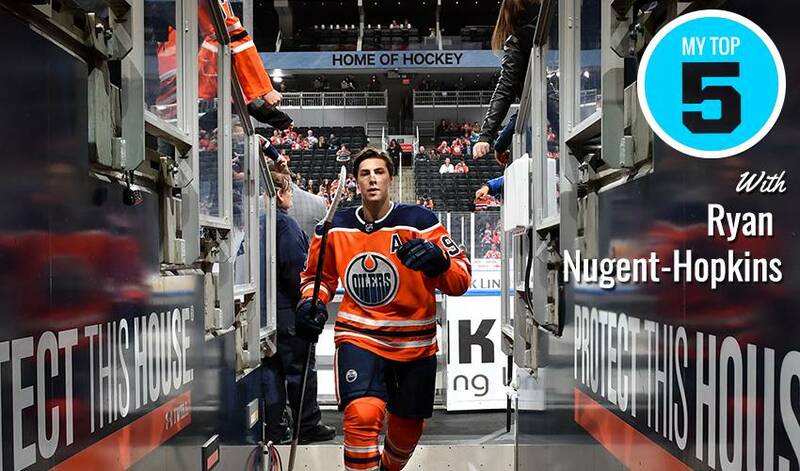 What embarrassing music lays lurking on Ryan Nugent-Hopkins' playlist? Find out in this week's Player Q&A! Ryan Nugent-Hopkins has waited for this moment and isn’t failing to impress as Canada moves forward 2-0 in the 2013 World Junior tournament. Twenty-seven of the top NHL rookie prospects will gather outside of Toronto at the MasterCard Centre on Tuesday, August 30th for the 2011 NHLPA Rookie Showcase.